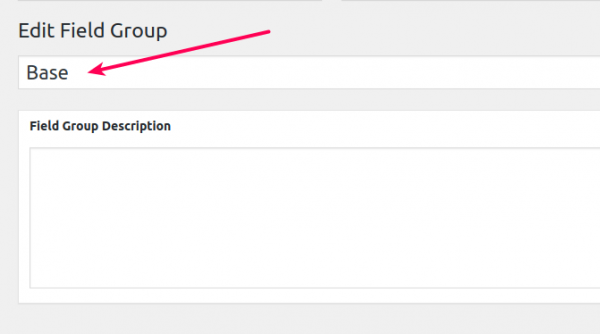 Are you looking to translate or change “Base” profile field group label to something else in BuddyPress? Let me help you achieve it. Before we start, let me clarify. The profile field group label is a value stored in database and once you have installed BuddyPress, you can not change it by translation(normal cases). You need to update the profile field group name to change it. BuddyPress provides simple ways to update it. Steps to change the “Base” to something else in BuddyPress. Step 1:- Visit Dashboard->Users->Profile fields as shown below. Step 2:- Click on the Base tab and then on “Edit Group” as shown below. Update the name to your liking and that’s it. I updated it to name “General”. here is how it looks after it. In case you need a video example, Here is one. Thankfully, I have succeeded in translating Name and Base into Swedish. But in Swedish we do not have this apostrophe. Can you help me get rid of it? That is single quote mark used in template file. It should have appeared on both the sides of the label(and each profile field group). and remove the quotation mark from both sides. That will do it. Thanks for your help so long! Can you help me with that text too. I can’t find it in “Loco Translate”: BuddyPress. 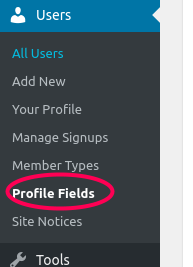 Are you using BuddyPress Xprofile Custom Field Types plugin. It is coming from that plugin and you can translate it using loco translate(I hope). Please give it a try. Please ask support questions in BuddyDev Forum and help us serve you better. Please use comment for general discussion/feature suggestions.